Imagine a place where you are welcome to be exactly who God has called you to be. A place where you can cloth yourselves in rest, peace, strength, and fullness. A place where you can step out of your comfort zone and unleash your true self to the world with no fear of what it could mean for the past, present, or future. A place where you can rest in being clothed by the Father in such a way that you stand in confidence knowing He is working and fighting on your behalf. A place where you can be both adventurous and still, all at the same time. In Indonesian, Sari means a garment worn by a woman, a long cloth wrapped around the waist and passed over the shoulder. And so we invite you to the Villa Bali Sari - a breathtaking 6 bedroom villa, each with a king size bed and its own private en-suite bathroom! The spacious living room is fully open to the large garden and the huge private swimming pool - with an incredible rice-field view. An amazing nest of paradise to stay at - made just for you so you can clothed in the goodness of the Father and rest in the assurance of the future the Holy Spirit is leading you to where Jesus is waiting for you with open arms. This is a 6 day/5 night retreat for women who are seeking and love - Jesus, adventure, rest, growth, and community! We believe Jesus is inviting you to come encounter Him in a new and FULL-filled way. He wants to show you how much of a Proverbs 31 woman you are. This WanderFULL Retreat is for all women who are seeking rest, adventure, community, and fullness. We invite you to come wander and experience Bali with us. Experiences will include island hopping, beaches, spa day, local activities and trips - as well as rest, prayer, worship, yoga, bible study and community workshops. We plan it all! So just come, relax, and be clothed in all that awaits you in Bali! Breakfast: A delicious balinese breakfast made by an in-house chef. Excursions/Free Time: Island hopping, local tours, spa day, etc. Excursions/Free Time: Relax by the pool, yoga, explore the local town, take a cab to the beach, nap, get a massage, etc. Community Time: A time where we gather together and engage in different activities and conversations focused on growth, prayer, vulnerability, and encouragement. PLEASE NOTE THAT ON THIS RETREAT THE SHARED BED AND BEDROOM OPTION MEANS YOU’RE SHARING A BED WITH A WOMAN ATTENDING THIS TRIP. YOU CAN REQUEST A ROOMMATE IF YOU KNOW SOMEONE ATTENDING THIS RETREAT. Special Treat on This Retreat! We have an incredible photographer joining us for the Bali WanderFULL Retreat! 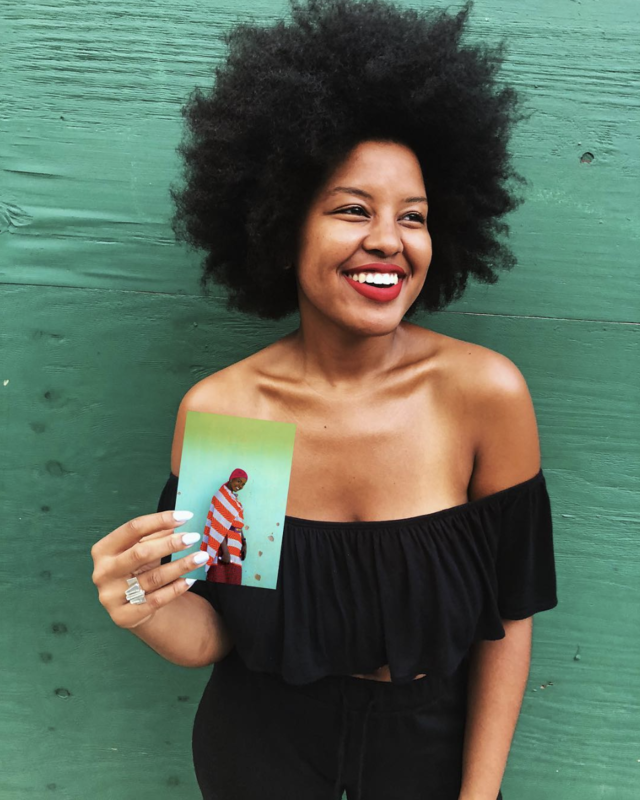 Yarminiah is an Afrolatinx documentary travel photographer, art director, designer, co-founder and creative director of Purpose Rosa, lover of salsa dancing and a home-cooked meal enthusiast. She makes it her life's mission to make something from nothing and help people see the purpose and beauty within and around them. After living in Bali and experiencing its wonder first-hand, she is so excited to return and document our wanderFULL experience! Follow her on her Personal/Professional Instagram + Purpose Rosa Instagram pages! The retreat will end at 11am on Sunday, October 6th, 2019. You will be transported back to the airport at that time. Book Flights leaving after 3pm on October 6th, 2019. You can arrange you own airport transfer if the above mentioned airport pick-up and drop-off times don't work for you but you will have to arrange and pay for your own airport transfer. For payment plans, the first charge will occur on March 15th and every 15th of each month until August splitting the payment into 6 installments. Travel Insurance must be purchased by you! Hey sisters! I’m Pricelis - the Founder and CEO of Full Collective. I’m excited to be returning to Bali and taking you all with me! I lived in Bali for 6 weeks in my early 20s and absolutely fell in love with the place and I know you will to! A little bit about me: I am a wife, sister, friend, daughter, proud Afro-Latina, Bronxite (Wakanda Forever! ), PhD Student, social worker, ministry leader, global wanderer (27 countries so far), yoga teacher, wannabe chef, freedom fighter, content creator, and a follower of Jesus! Hey Ladies! I’m Ally! I’m a proud Panamanian, with a passion for Jesus, people, and cats. I’m a multi-disciplinary performance artist, theater-maker, and educator. I’m HYPED to travel to Bali after a truly life-changing trip to the Dominican Republic with FULL. This retreat was prayerfully made for you! You! The wandering spirit. The Jesus loving lady. The busy-bee. The seeker of purpose. The explorer of new possibilities. The aspiring beach bum. The lady that has been feeling empty lately. The girl that is looking to open herself up to all the blessings and joy God wants to give her through experiencing true rest in Him. I hope you will invest in yourself and say "YES" to this WanderFULL Retreat in paradise!